In September, Marines with the 31st Marine Expeditionary, or MEU, embarked aboard the amphibious assault ship Wasp parked LAVs on the flight deck for a ship defense drill in the South China Sea that was designed to mimic the MEU’s voyage through dangerous waters. While the use of the Corps’ LAVs aboard the amphib ship was innovative, it opens a slew of questions about the security and capabilities of large U.S. Navy and transport ships operating in dangerous waters across the globe that may have to rely on aging Marine assets to counter some surface threats. “Can you get creative on it? I think you could. I can tell you I watched a MEU commander strap an LAV to the front of a flight deck because it had better sensors than the ship did to find small boats,” Coffman said to audience members at the Hudson Institute in Washington Nov. 9. A spokesman for the 31st MEU, Capt. George McArthur, said this fall’s drill aboard the Wasp didn’t involve sensors in the technical sense, but the use of optics. “The drill brought together the capabilities of the ship and Marines with precision weapons and equipment including M41A4 SABER system optics, used for observation,” McArthur said. The Saber system is part of upgraded optics and target acquisition capabilities for the Corps’ anti-tank guided missile system known as the BGM-71 TOW. “Weapons Company assets improved the integrated defensive posture aboard the Wasp ― specifically, the LAV-25s' tactical sights provided ballistic solutions for the M242 chain guns and coaxial M-240C medium machine guns to engage simulated targets on the ocean surface more effectively, with greater precision,” he said. September’s defense exercise aboard the Wasp involved scout snipers, gun-truck Humvees, TOW systems and LAVs. 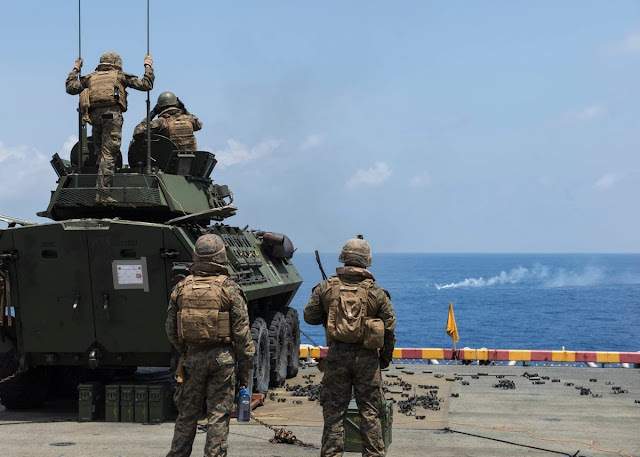 “This was the first time that an LAV-25 platoon with the 31st MEU performed this level of integrated targeting and live-fire from the flight deck of a ship such as the Wasp with combined arms," McArthur said. They're making up for lost capability that was tossed away in the "early rush" to push aviation centric thinking over real combat capability. Check out the pic below. 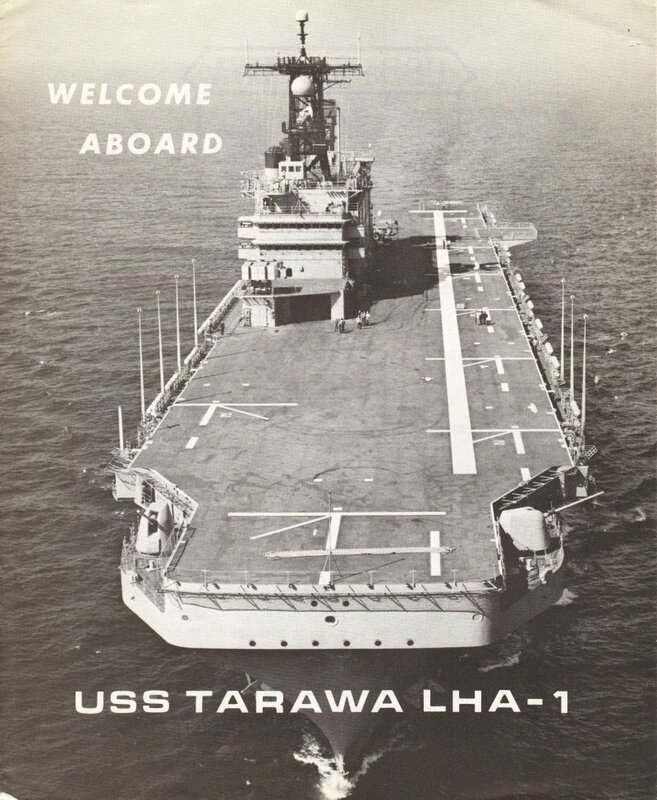 Back in the day, when the Marine Corps was hard, we had a couple of 5in guns on the ship. Why? Back then they were concerned about the lack of naval guns...the fleet was shedding them like a long haired cat so the worry was fire support for amphibious assaults. But IF WE HAD RETAINED THEM and with the advent of advanced fire control we would see them being utilized in the "anti-small boat" role today. So while its neat to see LAVs being used to supplement shipboard firepower, the reality is that we're doing this because planners were shortsighted in the past and shedded a much needed capability.